About the Book Poetry. 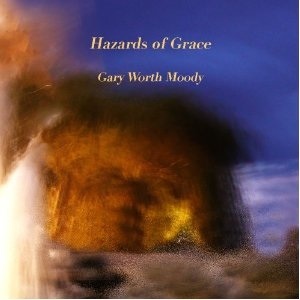 Gary Worth Moody's HAZARDS OF GRACE journeys through landscapes, natural and familial that bridge the 20th and 21st centuries. The work harnesses the tension between lyric and narrative forms to mirror the collective memory of a generation balanced on the cusp of history. The characters that inhabit these poems, farmers, ranchers, damaged war veterans, Siberian miners, gravediggers, and denizens of the wild, wield equally brutality and love. From barren ruined farmsteads and ranches of west Texas, Siberian coal mines, the claustrophobic woodlands of Virginia, the city surrounding the Pentagon on September 11, and finally to the ascetic landscapes of northern New Mexico, HAZARDS OF GRACE illuminates the archetypal power of wildness to render us human. Raised on farms and ranches in Texas and New Mexico, Gary Worth Moody has worked as a forest firefighter and as a builder in the U.S. and Siberia. The founder of the 1980s Lost River Poetry Workshops, he is a past recipient of the Austin Poetry Prize, the Mary Roberts Rinehart Award and the Virginia Downs Poetry Award. His work has been published in various journals on both sides of the Atlantic. After surviving over 30 years in the Washington D.C. area, Gary, a falconer, now lives in Santa Fe, New Mexico, with the writer and artist Oriana Rodman, three dogs, and a Red-tailed Hawk.